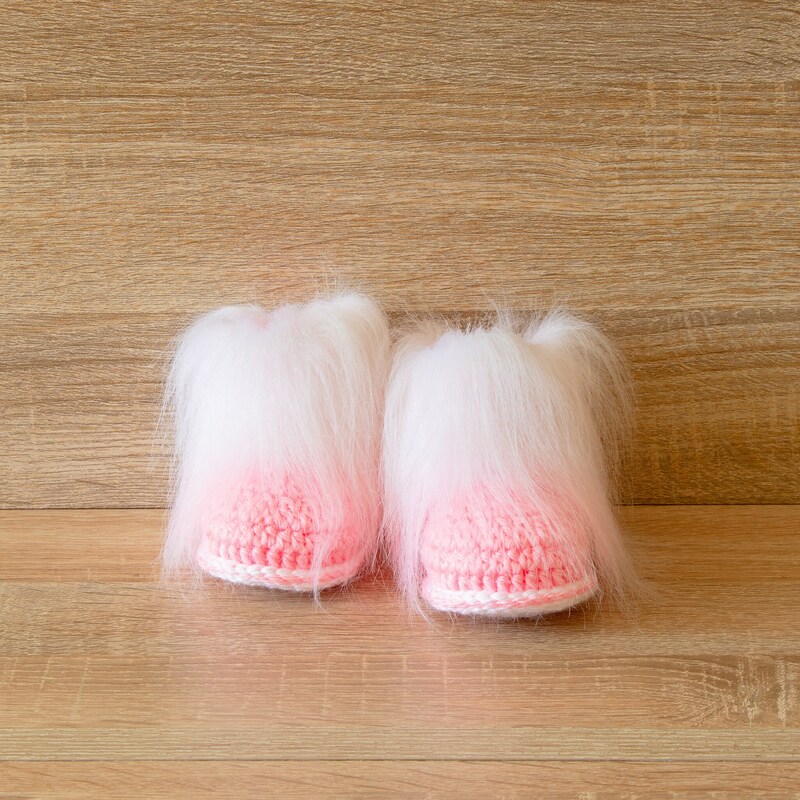 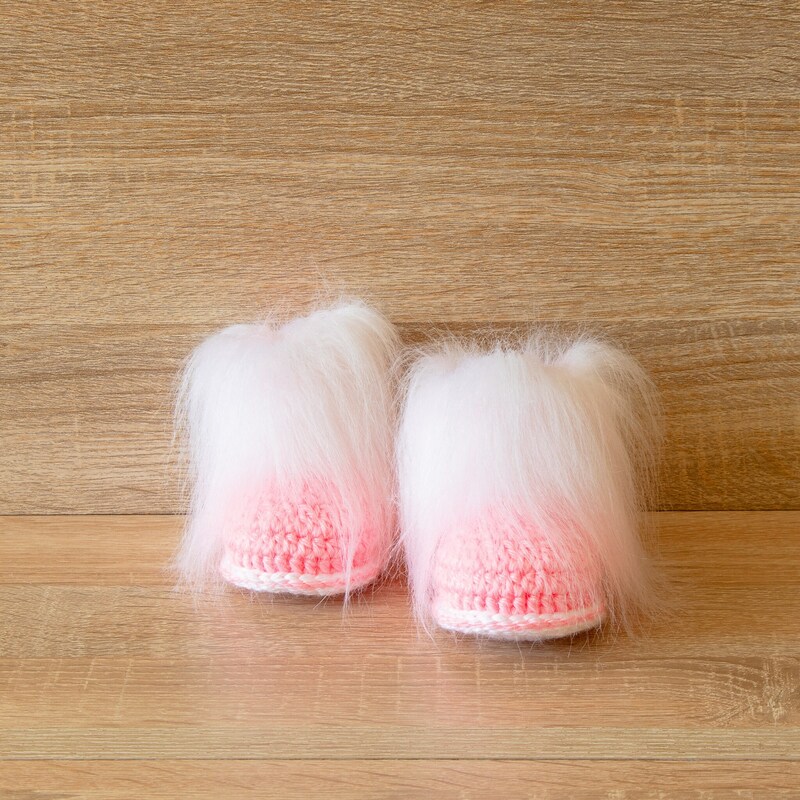 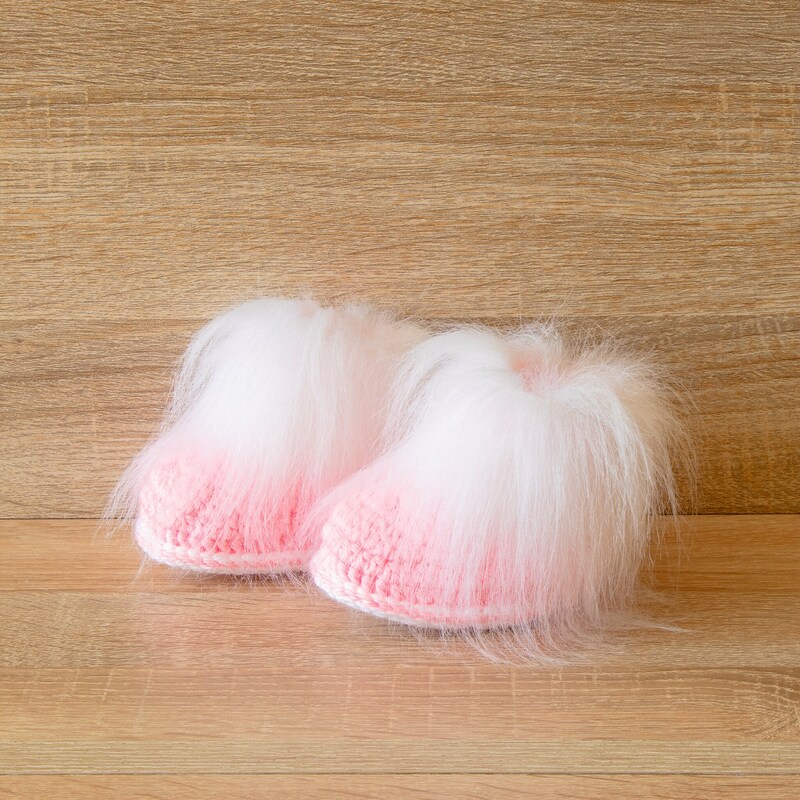 Beautiful and fashionable crochet Pink Baby girl booties with white faux fur trim. 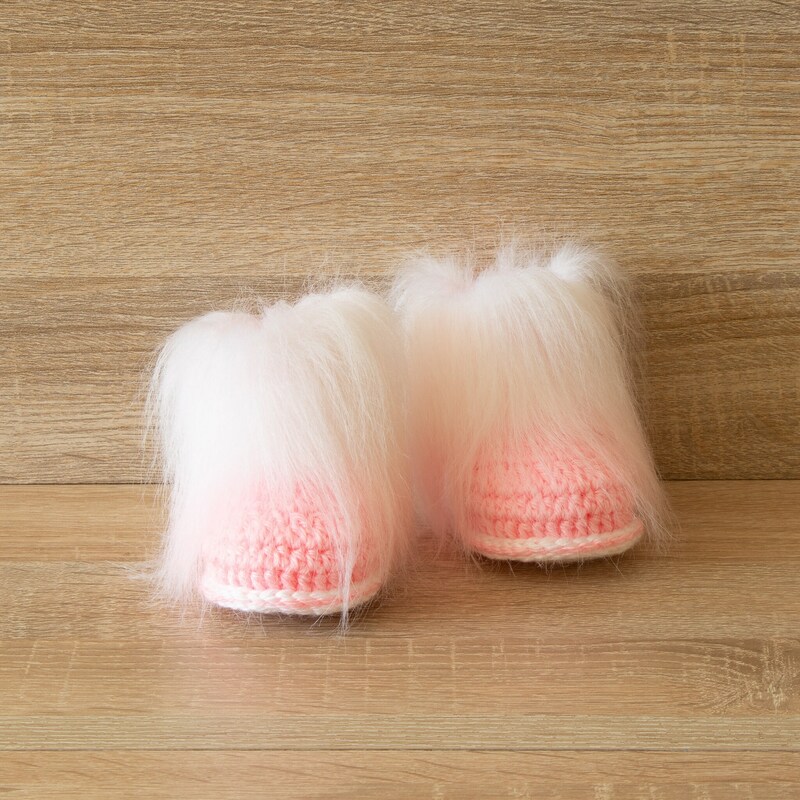 These Baby booties are double soled for a more cushioned sturdy booty and nice fit. 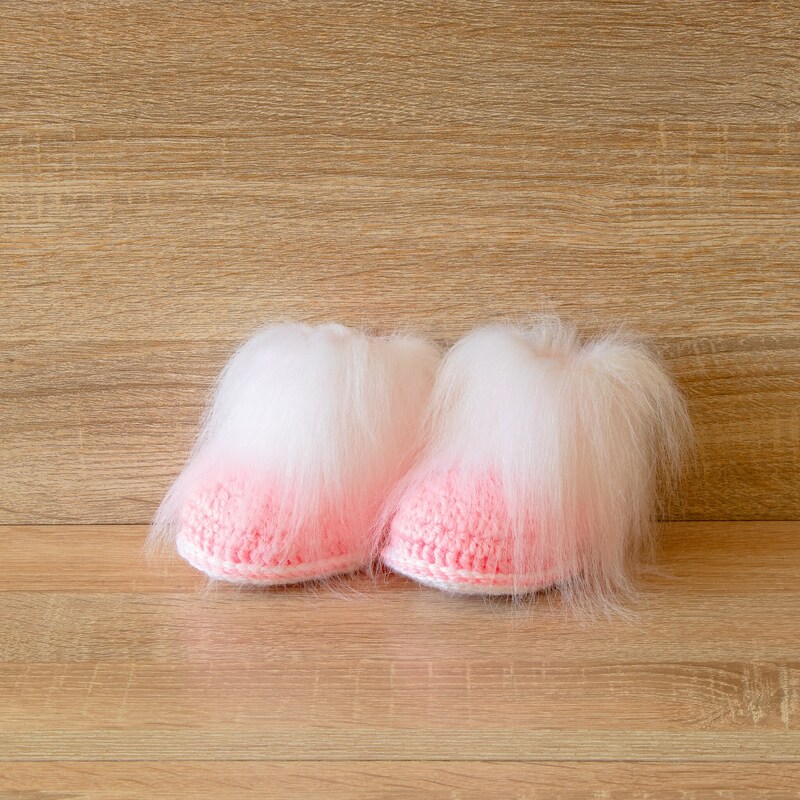 I just love these booties, they are gorgeous! 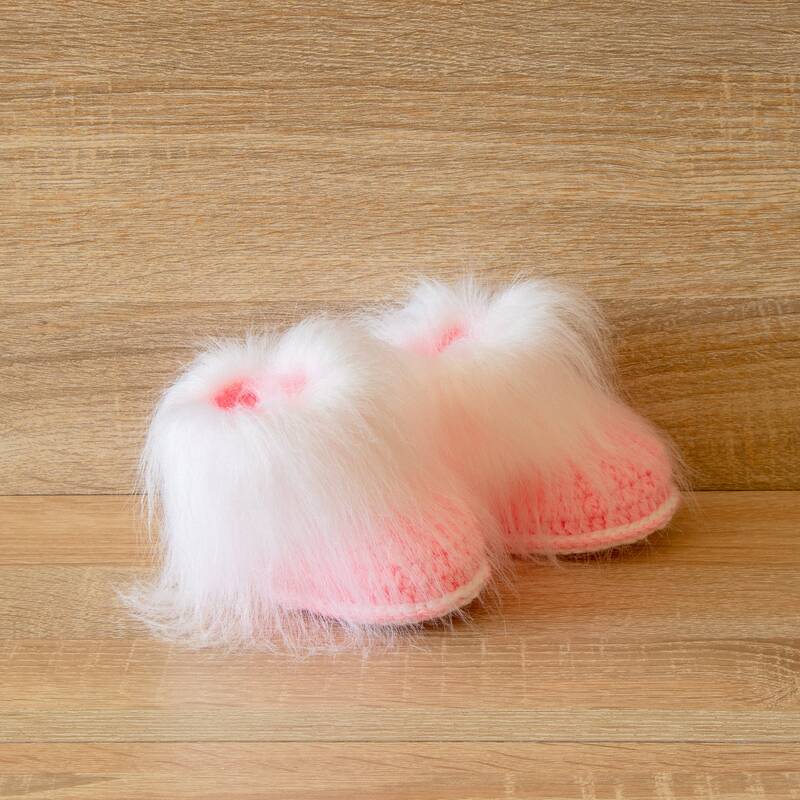 They will be for my new great-granddaughter! 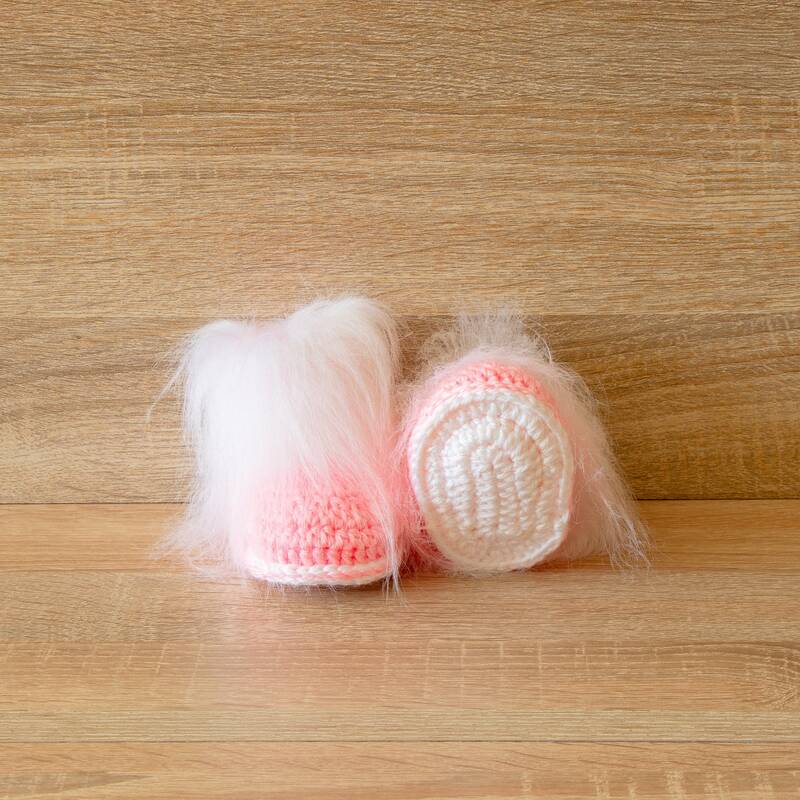 Thank you for such beautiful work!